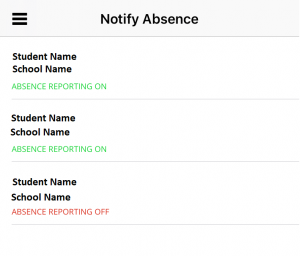 With our new absence reporting tool, life will be easier for you to report absences to inform the school for the absence of your child. 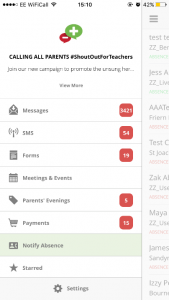 Absence reporting will only work through the mobile App, so it’s important that you have downloaded the App onto your iPhone or Android device. 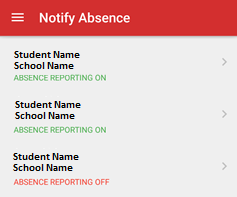 Please note, not all schools use our absence reporting tool – you will only be able to report an absence this way if your school has the application switched on. 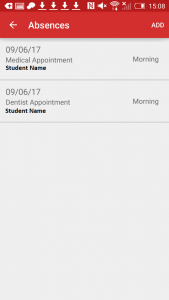 How to Notify Absence via an Android device? 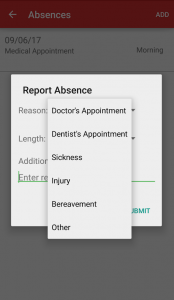 Select a reason for absence from a drop-down menu. You are able to choose the reasons: Doctor’s Appointment, Dentist’s Appointments, Sickness, Injury, Bereavement or Other. 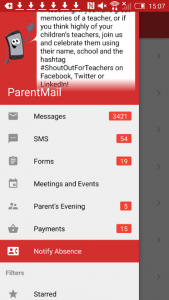 Select an amount of time that the child is likely to be off school for. You can choose the length of absence: Morning, Afternoon, One Day, Two Days, Three Days, Four Days, One Week or More than a week and add any additional notes. You can then click back into the absence to view what you have submitted. 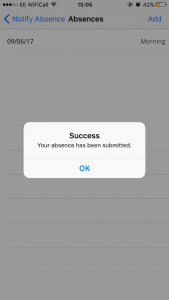 How to Notify Absence via an iOS device? 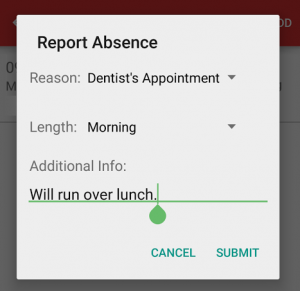 Select a reason for absence from a drop-down menu. You can choose from the reasons: Doctor’s Appointment, Dentist’s Appointments, Sickness, Injury, Bereavement or Other. Next, select an amount of time that the child is likely to be off school for. You can choose the length of absence: Morning, Afternoon, One Day, Two Days, Three Days, Four Days, One Week or More than a week. Then, add any additional notes.